Swagbucks is a search engine that rewards you for searching. There are many other ways to earn Swagbucks, which are points you can trade in for cash, prizes, or my favorite, gift cards. I find the $5 Amazon gift card is the most versatile and the best value at 450 Swagbucks. 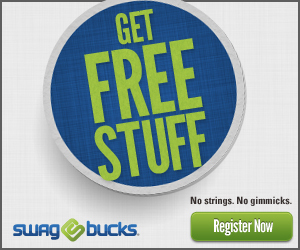 Sign Up – First of all, you must sign up with Swagbucks. Search – Use Swagbucks as a search engine to earn points. You will not earn points for every search, just randomly throughout the day. I usually win once in the morning and once in the evening. Finding Swagcodes – Swagcodes are bonus codes released by Swagbucks that you can find to earn points. Make sure to follow Swagbucks on Facebook and Twitter, as well as reading their blog, as these are the most common places Swagcodes are released. Using the Toolbar – Use the toolbar at least once per day to earn one Swagbuck every day! You must download the toolbar from Swagbucks.com. Go to the homepage and look across the top to find “Toolbars.” You can use the toolbar to keep track of your Swagbucks, to search, and sometimes Swagcodes are released on the Toolbar as well. Daily Poll – You can earn one Swagbuck every day for completing the daily poll. Along the left side of the Swagbucks homepage you will find the Daily Poll. Answer the poll to be rewarded. Trusted Surveys – Earn one Swagbuck each day for visiting the Trusted Surveys. Along the left side of the Swagbucks homepage you will find the Trusted Surveys. You can also take surveys to earn additional Swagbucks. 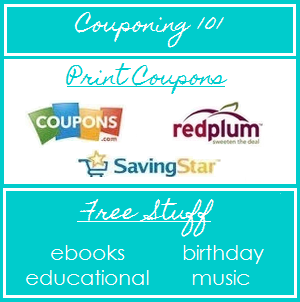 Printing Coupons – Swagbucks rewards you with ten Swagbucks for every coupon you print and redeem. The only drawback here is that it can take 8-12 weeks for the Swagbucks to be posted to your account. Completing Special Offers – There are two different ways to earn points with special offers. The first is through “NOSO”, which you will find along the left side of the Swagbucks homepage. Just skip through the offers to find 2 swagbucks at the end. The second is “Special Offers.” Complete any offers that appeal to you to earn points. Mega Swagbucks Friday – Every Friday, you have the opportunity to earn extra Swagbucks just for searching through Swagbucks as you normally do. This is a nice bonus. Daily Deals – Swagbucks offers limited-time deals every day from local and national retailers. Purchase the deals through Swagbucks and earn points. These deals are usually at least 50% off the usual price, so it is a great way to earn Swagbucks. Tasks – Complete special tasks online to earn Swagbucks. Playing Games – You can play free games to earn Swagbucks. They will be rewarded randomly throughout your play. You can also pay to play other games for the chance to earn higher denominations of Swagbucks. Swagbucks TV – Watch video clips on Swagbucks TV to randomly be rewarded with Swagbucks. Trade In – Trade in cell phones and MP3 players, video game consoles and games, and books to earn Swagbucks. Refer Your Friends – Have your friends join Swagbucks through a special referral link and when they earn Swagbucks for searching, you will too. To find your referral link, click “Refer Friends” along the top of the homepage. At the top of the Swagbucks homepage, click “Rewards” then “Rewards Store”. You can browse through the categories of prizes. I personally redeem my Swagbucks for Amazon gift cards, with the $5 one being the best value. Select the prize or gift card that you want to redeem and click redeem. You must verify the purchase via email. If you choose an Amazon gift card, it will take about 10 days for it to be posted to your account. But after it is posted you can go to your account on Amazon.com to apply the gift code to your account. The gift card will not expire and will be stored in your account until you are ready to use it. Swagbucks is a great program that you really do earn from. Go to Swagbucks.com to get started earning! This entry was posted in Swagbucks. Bookmark the permalink.